Backpackers occasionally live in fear of winter travel, running from the icy chills by migrating to the opposite hemisphere to avoid dealing with the glacial conditions of below-freezing sightseeing extravaganzas. It makes sense. Travel is supposed to be fun, and it’s hard to enjoy a city tour if you’re freezing yourself half to death all day long, and if you hide inside to keep warm, it’s all for nothing. But I’ll happily point out that traveling in the winter doesn’t have to be so bad. You don’t even need bulky, heavy parkas to stay warm. In fact, you can get by with a rather basic, lightweight setup that’ll probably work seamlessly with gear you already have, meaning that adventuring off into the depths of winter probably only requires a couple extra purchases, and you’ll be good to go. And then you’ll get those awesome snow photos! Since I’m a scrawny weakling and need spectacular gear to accommodate my inadequacies, I need clothing that’s both lightweight and warm, and I’ve spent quite some time fine-tuning this setup, and I think it’s about as good as it gets. It won’t cost much, and I’ll point out cheap alternatives where I can. The humble t-shirt: The building block of human civilization. Well, not really. They’re easier to buy. You probably have plenty already. Leave the insulation to the outer layers, which you won’t have to wash as often. As for materials, regular cotton t-shirts might suit your needs, as long as you avoid doing laundry in the sink, and you don’t sweat too much. But if you’re going uphill with a non-breathable pack, your back will get soaked, and that sweat will stay there for hours. And yes, I know from experience. It literally felt like glaciers were forming along my spine. Merino wool, which is probably the best thing ever. It feels softer and cozier than cotton, but dries quickly, and is naturally anti-microbial. On the downside, it’s expensive, so look for sales, and handle with care. Read more about why merino is so great here. Polyester, which will generally dry faster than merino, but check to make sure it has an anti-microbial finish to prevent horrific odors. It’s cheaper than merino, but it can feel sticky once it gets wet, and often has a shiny appearance, but it’ll do the job. I generally recommend bringing a week’s worth of clothing and doing laundry once a week, but you can bring fewer t-shirts in winter since you’ll probably skip showering sometimes. 4 or 5 should be plenty. Just a simple sweater works for this layer. The next layer will be zippy. Minor note: This step is optional, depending on how toasty you need to be. But a good sweater is a nice “always on” layer that’ll keep you cozy and classy all at the same time. Keep this layer as thin as possible. Rather, keep every layer as thin as possible, since there’s far more flexibility with multiple light layers than a few heavy layers. Skip the zip. We’ll be adding zip-up layers later, and we don’t want multiple zippered collars trying to fight each other. Make it smooth. The next layer might be fuzzy, so we don’t want this layer to be too fuzzy or it’ll be hard to layer them over each other. Basically, this is just a long-sleeve t-shirt. Maybe a little warmer. Merino wool is probably the best fabric for this layer, since it’ll still be warm even though it’s thin, and it’ll feel soft against the skin. But any comfy sweater you have will be fine. I like full-zip for ease of use and adjustability, and a tall, tight collar so I only need a scarf in seriously deep winter. Here’s why step 2 is optional. A lightweight, comfy fleece or wool zip-up can go right over a t-shirt, and that can be your “always on” first layer of insulation, and you can skip the extra sweater. It just depends how warm you need to be. Keep it light. That’s right, we’re still not at the outermost layer yet. Adding a layer underneath this one is more flexible than simply making this layer heavier. Make it zippy. Since this layer is probably thicker than a sweater, it helps to have some adjustability. I much prefer full-length zips rather than half zips, because they’re far easier to manage. I also like when the collar is tall and small, so my neck stays cozy. Merino or fleece will both work just fine, though fleece will be cheaper. You probably already have something like this that’ll work anyway. Puffy and fluffy, down or synthetic insulation jackets like these are the secret to ultralight winter travel. This is why I said to keep the other layers thin, and it’s the super-secret silver bullet of ultralight winter backpacking. You don’t need a massive heavy coat to keep warm in winter. All you need is the luxurious fluffiness of goose down. Warmth. Down is about twice as warm as fleece, depending on the quality of each. Packability. Down compresses to about half the size of fleece. Nylon shell. Down is almost always housed within a windproof, water-resistant nylon shell, which makes an excellent outer layer. The one downside: Moisture. goose down wilts in the rain, and loses its warmth. You can simply add a rain jacket or use an umbrella, or use synthetic insulation, which is what I use, which handles rain a lot better. It’ll stay somewhat warm when wet, and dry a lot faster. If you want more detailed info, you can read about the pros and cons of down and synthetic insulation here. I think it’s about as good as it gets in terms of flexibility, comfort, and performance. Other setups exist, but this is how I handle things, and I like it a lot. My favorite cold-weather combo: T-shirt, pullover sweater, zip-up sweater, puffy jacket. Time to be a superhero! Woohoo! Adding long underwear beneath a pair of pants makes a huge difference. Though you can simply wear a heavier jacket, that’s like turning up the heat while a window is open. Sure, it’ll work, but why not just close the window? Wrapping your legs in cozy long underwear will prevent the heat loss through your legs, which makes a massive difference. And if you’re working your legs at all, you’ll heat up fast. I was once in Kosovo, walking uphill in the middle of winter, through the snow, and I had to strip down to a t-shirt because the leggings were working so damn well. In fact that’s the one downside: They can occasionally work too well, and removing them can be a bit of a hassle. If you’re planning on sightseeing up and down a hillside, or dancing the night away, stick with the lighter fabrics, or skip them for the day. They also double as pajamas, or regular leggings for girls. And, once again, you can be a superhero. I went with green, so I could be Robin Hood. Mmm, cozy. Now all I need is a mug of hot chocolate. You’ve probably noticed I’ve been blathering on and on about merino wool this whole time, and that’s because it’s amazing. But where it’s most amazing is in a pair of socks. Merino is warmer than cotton. It’s is also better at cooling than cotton, because it dries faster. It’s naturally anti-microbial, so it’ll never smell bad. But the best part: It absorbs moisture into the interior of the fiber, where your feet can’t feel it. Merino can actually absorb a significant amount of moisture, and still feel completely dry, which is ideal for a sock stuck inside a shoe. It has its limits, of course, but these limits are vastly superior to cotton. And, like I said, they’ll dry faster. I use short, thin socks half the year, and full-length, cushier socks the other half of the year, and I’ll combine them together if it’s really cold. Long underwear, and wool socks. Short socks in the heat, long socks in the cold, and both together if necessary. Hat, gloves, scarf or neck gaiter. Pretty easy. You’ve probably taken care of this already, so I won’t spend too much time here, and it’s easy enough to pick up a $2 hat on the road and not worry about it. That’s fine, especially in the short term, but eventually I started looking for things that’ll last for years, and maybe work a little better. Hats: Go with merino. It’ll be significantly thinner, and maybe warmer, than big, bulky acrylic hats. Scarves: You can save a little weight and space with a neck gaiter, since it has no loose ends that need to be tied. I’d go with wool here. Gloves: You’ll want some water resistance for an eventual snowball fight. Wool or soft shells work nicely in this regard, maybe a little better than a thin synthetic. But, once again, these suggestions are optional, and stocking up on a $2 scarf, hat, and gloves will probably work just fine. I just wanted a hat that would cover my damn ears, because dammit why would anyone make something that doesn’t?!?! Since the other items are useful year-round, this is the only additional gear you need for winter. And in winter, you’d be wearing these most of the time anyway, which is why winter travel doesn’t require much additional gear. I was able to include all these items in my 9-month trip with just a daypack. Ultralight winter travel gear, stuffed into a vacuum compression bag. If you fold it in half, it’s about the size of a large pair of shoes. It weighs about 2 pounds, or about a kilo. All in all, it’s not so bad, and if that’s all you need to brave the perils of winter, well then go for it. I’d recommend waterproof shoes as well, but since it’s fairly easy finding waterproof leather shoes, these can also be your “normal” shoes outside of winter, so I don’t consider this an additional item, meaning you can still travel with just one pair of shoes. Girls might want to bring an extra pair for fancy nights out, though. See? Snow pictures are awesome! This was in Belgrade, Serbia. So I hope this can help the backpackers who live in fear of winter travel. You’ve probably got most of these items already, like t-shirts, sweaters, hats, and scarves, meaning you might only need a couple things to complete the list, which should keep the costs down. And then you can venture out into the wintry wilderness, and stay cozy the whole time. Keep in mind that impromptu snowball fights in foreign countries amongst complete strangers are always fun. 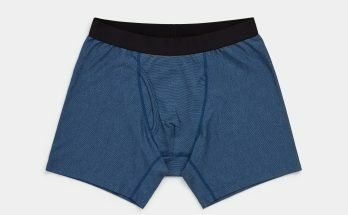 Next Article Why is everyone getting underwear so wrong? These are some GREAT tips for the upcoming cold season. If course, I live in the tropics, so probably won’t need it much. But you never know when one might end up in some frozen part of the world on a whim! Thanks. Sometimes I think it’s silly to tell people how to keep warm, but I think a few of the methods here will help keep things light and simple and aren’t immediately apparent, so hopefully it’ll help. Any recommendations for the zip-up sweater? I’d like a tight-weave, non-sticky Merino or fleece zippered cardigan, thin and light, preferably in tall sizes. What is the name of the sweater that you show in the picture? That’s just a random cotton/acrylic sweater I got from Buckle years ago. More of a casual item rather than a performance piece. I wish it were merino, though. It’s easily my best-looking sweater. But anyway, I would take a look at Ibex. Their Shak Lite Full Zip is a good weight, in a semi-fitted cut, with arms that are still long enough. Not super stylish, but good. For fleece, Helly Hansen does a good job with slim-fitting items, whereas most fleece tends to be sewn into bulky, boxy jackets. HH’s lighter fleeces (100 weight as opposed to 200 weight) tend to be nice and slim. Ibex and icebreaker are you two best bets. Sierra trading post has a great sale on icebreaker at the moment. Great ideas…I employ many of these since I live in cold, cold Germany! Of course, I’ve only realized that I need a better jacket, after I’ve been fighting my way through the nastiness that is Europe in fall/winter for two months. Good tips! Great list and a big plus 1 on merino layers. 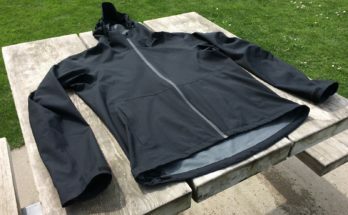 I’d add a lightweight waterproof shell that will layer over all the insulation just in case the weather gets cold AND wet. They can certainly work well, particularly by fitting together more easily than getting two random jackets, which might not match up in terms of sleeve length, and so on. But I’ve also found sometimes it’s easier to find a fleece I like, and get the rain jacket I like separately, rather than finding a 3 in 1 that works out perfectly. I also tend to get chilly indoors, so I remove the rain jacket, but not the fleece, meaning the zipper that connects them together wouldn’t be useful to me. But on the other hand, larger people that stay warm easily might want to remove everything, so it’s just a matter of those pros and cons, but they’re definitely worth a look. I thoroughly recommend pure silk long underwear as they are extremely lightweight, take up almost no space, and have the added benefit of being really slippery so your pants won’t stick to them and bunch up when you move around. They dry really quickly when wet as well. The first time you wear them you might feel a bit of a pervert (in a good way) but after you try them you probably won’t go back. I used to recommend these when I was teaching winter survival in the Canadian army to infantry soldiers. Keep up the interesting blogs. Yes, they have perfect-looking $40 merino wool sweaters in a dozen or so colors, and they’ve been on my shopping list. I happen to have a couple other sweaters already, so it’s not a must-have item for me at the moment, but it certainly looks like something that would work nicely. $40 for a merino wool sweater can’t be beat, except when it’s on sale for $30. 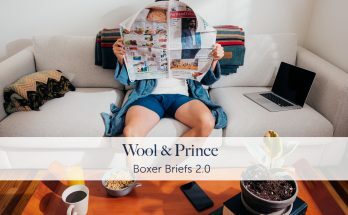 Another source of nice looking and very well priced wool garments is woolovers, based in the UK, but who send worldwide, with good postal rates. Not designated Technical grade but lots of practical styles for travel. Great suggestions. I live in Florida, but I sometimes head north and will be going to Iceland and Norway in March. I am allergic to wool unfortunately, so I am always looking for good ideas to keep warm on my travels. I also like that you were specific about zippers and fabric. I always hear that I need to use layers, but exactly how does that work? Thanks for the excellent ideas. It might be worth trying merino wool, if you haven’t already. Lots of people think wool is itchy, but merino wool is totally different. The itchiness is actually caused by tiny scales in the hairs, rather than an allergy, but good merino wool is so tiny (and they usually wash it in a way that breaks down the scales) that it’ll be softer than just about anything you’ve ever tried. But, if you’re still allergic to it, fleece works just fine. Cheaper, too. If you do go with synthetic layers versus merino, Patagonia’s capilene really is better than almost everything else out there. I would look hard at Patagonia versus other brands. Any time I’ve bought lesser brands the fabric does not hold up nearly as well. I live in Minnesota and spend five months a year wearing long underwear. Also, heat from the dryer is rough on both merino and synthetics, I always line dry the garments. Layering is simple, you wear multiple thin layers of clothing. Body heat is trapped between the layers keeping you warm. If you find yourself too hot you take off layers. You can thus add or subtract insulation depending upon if you are hot or cold. For example, my office is generally cold. Most days in winter, today for example, I wear a merino long sleeve crew neck shirt, a button down dress shirt and a wool sweater to work. If I get too hot I take off the sweater. I am rarely cold in this setup. Yep, Merino is great. Buy some, it’ll do our Australian balance of trade a world of good too. But if you want to be really warm in natural fibres you need to go a little more exotic. I’ve migrated over to Yak wool and Musk Ox, same, possibly better, anti-microbial properties but a lot warmer and lighter, especially the Musk Ox. PS. Great blog, you scratch a lot of my itches, metaphorically speaking. I’ve seen a Yak wool base layer company and buffalo wool gear. It all sounds great, so hopefully I’ll try it at some point, though it’s still just here and there that you can find it.